We had a chance to check out an early screener of American Rescue Squad. Low budget independent filmmaking is a very difficult task. As someone who knows several indie filmmakers personally I know exactly how hard it can be to write, direct and produce a movie with little or no financial backing. That is why I have a soft spot for these types of films. There are so many hidden gems out there waiting to be discovered. Unfortunately American Rescue Squad is not one of them. Written by the team of Elliot Diviney and Adam Diviney and also directed by Elliot ARS is nothing short of a love letter to South Park creators Trey Parker and Matt Stone, trying desperately to recreate the type of brilliant satire Parker and Stone have become famous for. What we get is a movie that is creatively ambitious, but maybe too much for its own good. 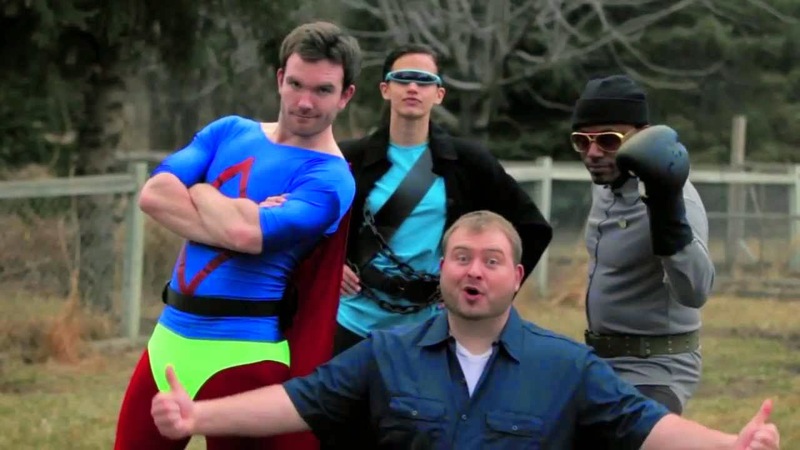 ARS is a superhero musical with political metaphors literally manifested as the characters themselves. Characters like Common Sense, Personal Responsibility, The Taxpayer, Birth Control, Bad Dad and The Bible Thumper beat you over the head for the entire 90 minute run time with their not so subtle messages. Mix in a whole bunch of musical style song numbers, cliché voice over narration, a bland plot and a lot of uninspired acting and you're left wondering what the hell you just invested an hour and half of your life that you will never get back, into watching. This thing is a hot mess. I almost feel bad being this blunt about it, I really wanted to like ARS because I respect what its creators were trying to do. Sadly, it just didn’t work for me. I love political satire, but this film is trying to be too many things at the same time. Neither the script nor the acting are up to the task here. It’s a shame because I think they were close to making something pretty damn cool.